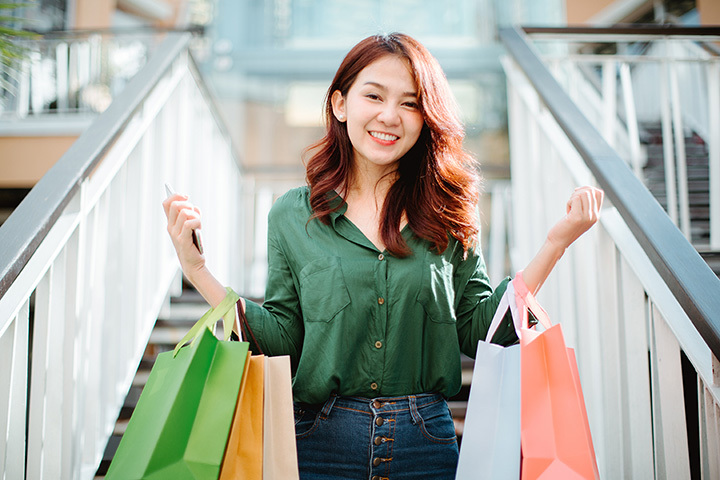 At the great shopping outlets and malls of Mississippi, you can scoop up brand-name clothes, furniture, jewelry, and much more. Every store is like a treasure hunt—you never know what you’ll find! Start your shopping journey at these 10 best shopping outlets and malls in Mississippi. This enclosed shopping mall is also one of the state’s oldest, dating back to 1963. The mall is well maintained despite its age, offering plenty of modern, fresh aesthetics that make shopping here a joy. And it’s not just stores, either: inside you’ll find a carousel, rock climbing wall, salons, portrait studios, and an impressive food court serving up just about any kind of craving. This sprawling mall requires your walking shoes, but if your feet get tired you can take a ride on an animal scooter. It’s also a mecca for events and entertainment year-round. Fans rave that this mall is a fun place to shop and meet up with friends. In addition to its suite of stores and restaurants, the mall is also home to a children’s play area and small train that will take the pressure off kids and parents alike. This mega outdoor mall is the state’s largest shopping destination. Some of fashion’s most popular brands call this place home, including Coach, Nine West, Michael Kors, and Levi’s—all at below-retail prices. If you’re looking to stretch your dollars even further, you can join their VIP Savings Club that offer exclusive discounts. A great place to shop and eat, this mall seemingly has it all. From kid-approved Chuck E Cheese to all the best clothing stores to budget-friendly names like Stein Mart and Forever 21, this place means you’re likely not leaving empty handed. They also offer mini-golf, a nine-screen movie theater, and plenty of places to eat and relax. This open-air shopping center is favorite among locals and travelers alike. 43 stores span nearly 200 acres and give you plenty of options to find that perfect something. Having opened just over a decade ago, you’d think this mall was brand new. Fans rave about the cleanliness and upkeep of the mall, adding to its overall experience. Shopping here is a smart decision because there are always deals that go above and beyond your normal everyday savings. This outlet mall offers one of the most eclectic variety of stores you’ll find anywhere, from clothing for the whole family to housewares, handbags, maternity, jewelry, personal care, gourmet food, and even a children’s play area. You’ll want to spend the whole day here, so be sure you’re not in a time crunch. One of the main reasons shoppers love coming here is because they feel it’s a safe, clean place to take care of business. Unlike many malls, this one isn’t just a bunch of clothing stores. There are hair salons, better-than-food-court restaurants, nail places, pet stores, and more. Shoppers also love the open-air concept that makes it easy to get from one store to another. Tanger has become a household name synonymous with great deals from your favorite stores. The shopping experience here is one of the best, thanks to a clean environment and shopper-friendly layout. Make sure you stop by shopper services to grab a coupon book before you hit the stores - it costs $5 but can save you tons on your favorite brands! This massive two-level mall has undergone recent changes to a bring a fresh, modern look and feel to its fanbase. There’s a store that caters to just about every interest, and you can usually find events on their calendar, especially for the kids. This mall isn’t considered large by most definitions, but that’s one of the reasons folks love to shop here. It offers just the right balance of stores and walking distance, with plenty of options to help you get what you came for. Also on site are a fitness center, movie theater, and children’s play area.